Donations given at the Harvest celebration enabled us to pay for a latrine to be built in Kasonga, Democratic Republic of Congo. 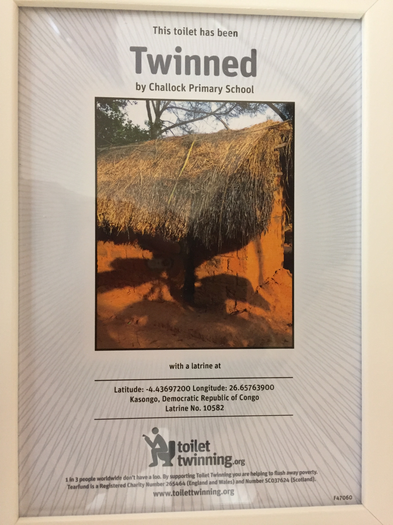 We have received a certificate with a photo, showing us exactly where the latrine has been built. The village had to walk 5 km to the nearest water source and and the latrine Challock school provided is part of a larger project to provide fresh water on tap. What a fantastic privilege to be a part of making lives better!